20150606 + Up in the am and NO BASEBALL TODAY! When we all got up around I took D to ump a game and L took J&G to some shops with Gma&paB. 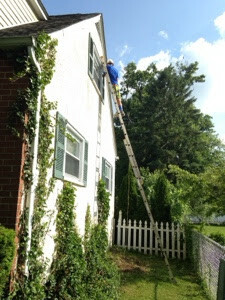 When we all merged back at home we did some work on the house, shutters, gutters and screens. We got a lot done and then hung out for some dinner and watched 'The Kingsman'.